Capital Stack is a term encountered mostly in commercial real estate projects, and it refers to the relative priorities of different lenders and equity holders in a property. 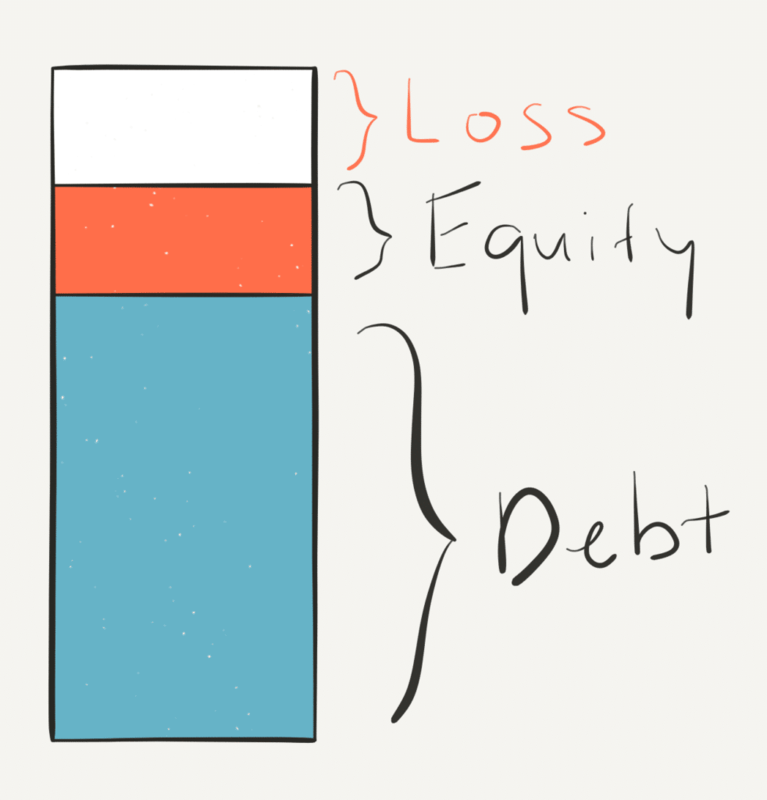 Capital Stack is a term encountered mostly in commercial real estate projects, and it refers to the relative priorities of different lenders and equity holders in a property. 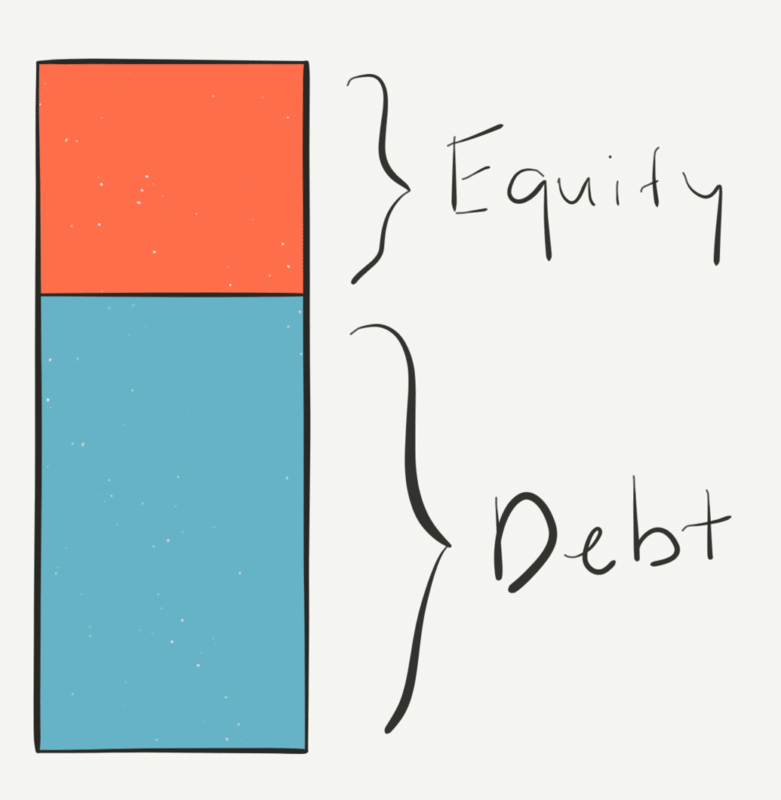 It’s often presented in a visual form to help investors understand their position in line relative to the rest of the financing. 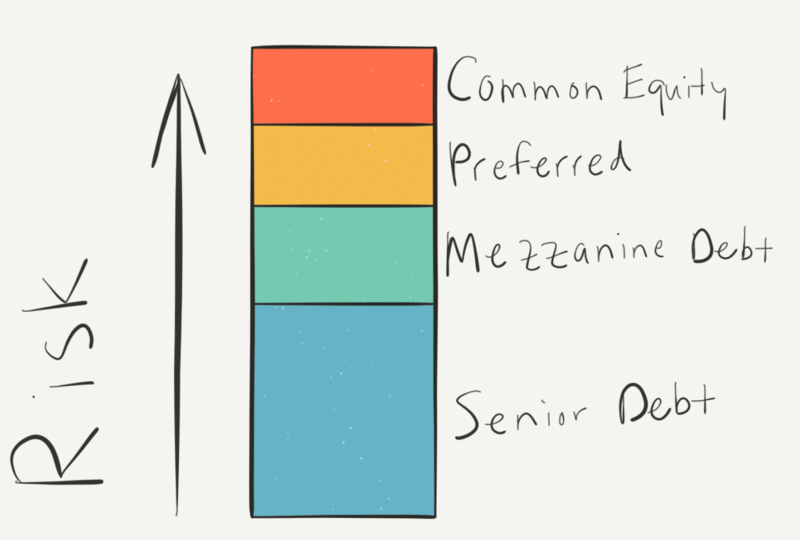 Somewhat confusingly, the further up the stack you are, the lower your priority is relative to those below you on the stack. If the value of the property goes down, the amount owed to the bank doesn’t change, and they remain first in line to get paid if and when the home is sold.This is why most lenders will limit the maximum amount (often expressed as ARV or LTV) that they will loan on a property. In this scenario, your equity of $20,000 has declined by 50%! On the flipside, if the home grows in value, the amount owed to bank also doesn’t change, and you get to keep all of the appreciation. 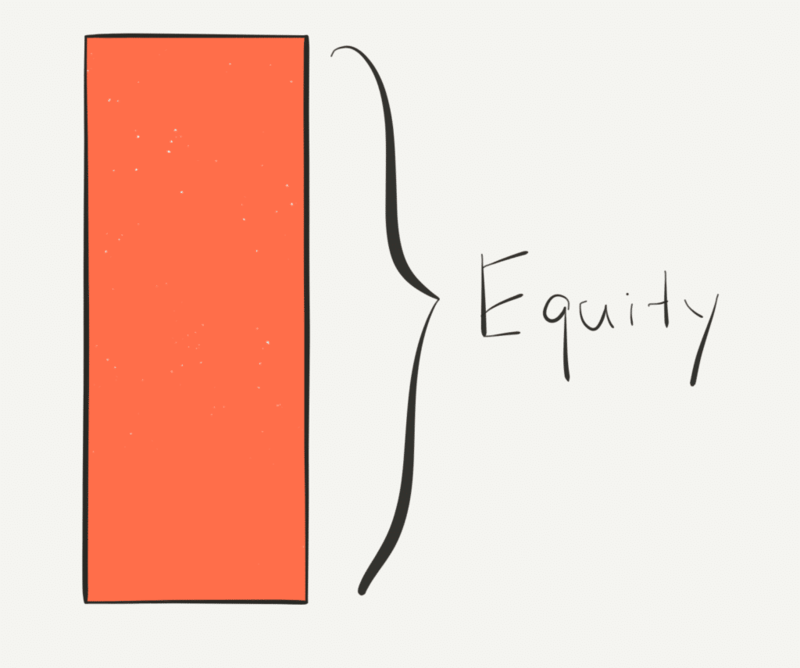 There’s nothing inherently good or bad about a particularly location on the capital stack, it simply corresponds to the level of risk (and therefore potential return) that each tier can expect from the investment. For example, in commercial real estate projects there may be more than one lender (kind of like a second mortgage on your house). That second lender will expect a higher interest rate on that loan because they know they’re taking a position behind someone else when it’s time to distribute the proceeds after the property is sold. Note that while risk increases as you move up the capital stack, so does the potential return. When reviewing crowdfunded real estate investments, an important part of due diligence is understanding the terms of the investment, including where you as an investor will sit in the capital stack. Again, there is no “good” or “bad” place to be, as long as you understand the potential return compared to the risk.